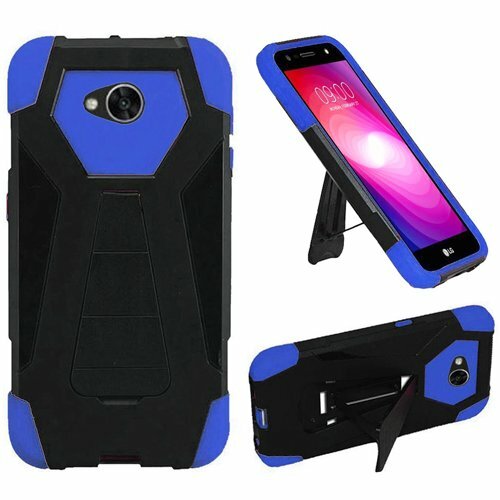 Phone case for Straight Talk ZTE Max Blue 4G LTE Prepaid Smartphone / ZTE Max XL / ZTE Max Blue / ZTE Blade Max 3, Hard armor case with kickstand. 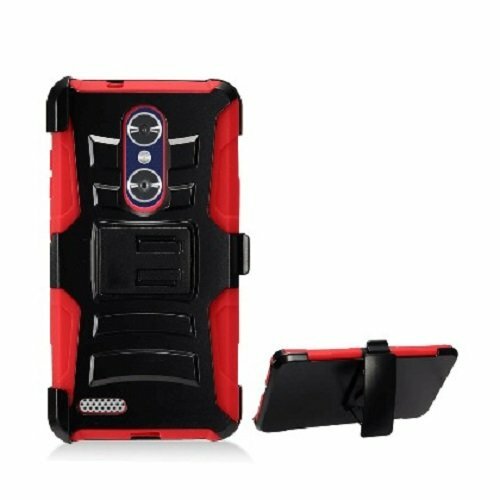 Double protection: hard plastic inner case with soft outer silicone layer, protects your phone from common bump, dust, and scratches. For ZTE Blade X Max (Cricket Wireless), ZTE ZMax Pro 4G LTE phone. 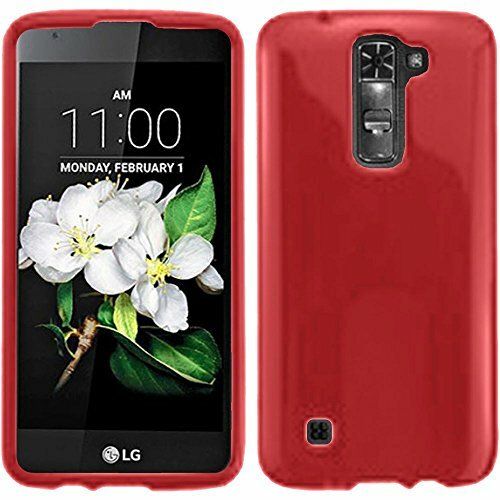 Hard outer shell with silicone inner layer protects your phone from common bump, dust, and scratches. Installation procedure: Remove silicone layer from hard case. 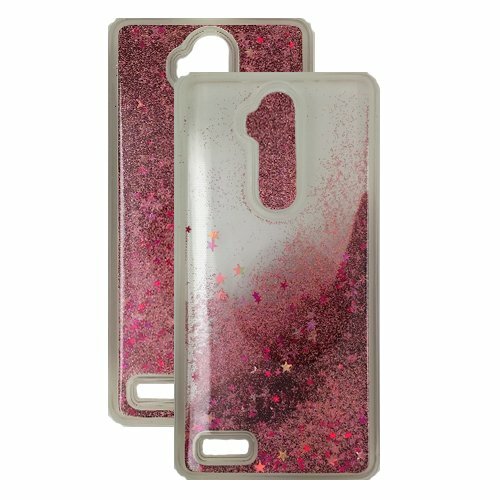 Insert phone into silicone layer, then place hard case on phone.. 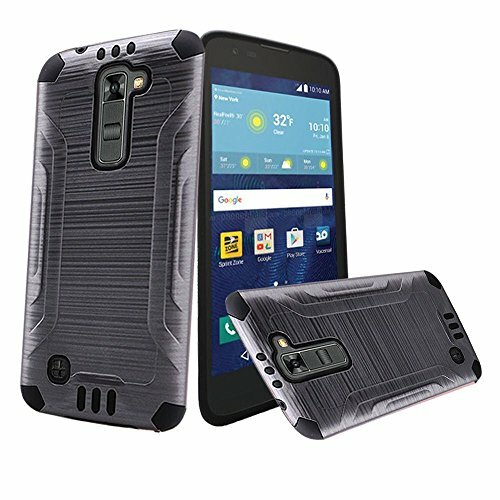 Phone case for ZTE Blade X Max (Cricket Wireless) , ZTE ZMax Pro / Walmart Family Mobile ZTE ZMAX PRO Prepaid Camera Phone. 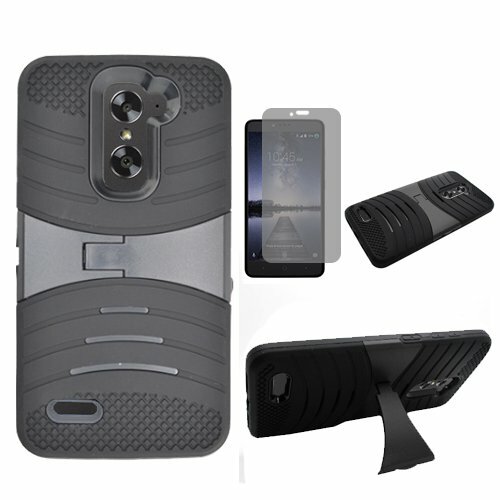 Dual layer combo holster case offer double protection for your phone. 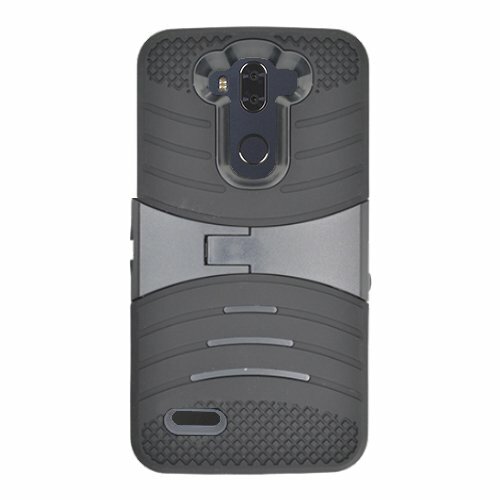 **Note: The holster case is designed to protect your phone screen. It will not fit into the holster when the screen face outward. It will only fit when the phone has the screen facing inwards into the holster. Installation procedure: The holster case is not squeeze in type, you need to take out the black plastic frame, remove the silicone skin cover, slide your phone in the silicone and put back the plastic cover. For ZTE Blade X Max (Cricket Wireless)/ ZTE ZMax Pro 4G LTE / Walmart Family Mobile ZTE ZMAX PRO Prepaid Camera Phone Protects your phone from common bumps, dusts, and scratches. 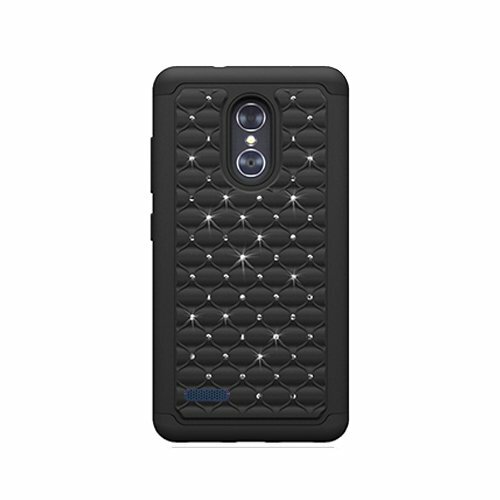 Easy access to all functions without removing the case. 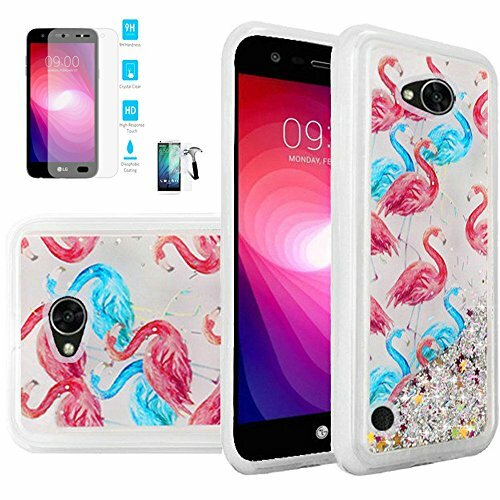 Material: PC Mix ABS Hard Plastic Inner Layer and outer silicone. Installation procedure: 1. remove the silicone skin cover; 2. separate the plastic frame; 3. snap your phone on to the hard plastic; 4. Cover the frame and silicone skin. Now, you are ready to go.